This service is available for arrivals at Haneda airport. Arrival flight time must be between 07:00 - 21:00. The Japan Rail Pass is not included and must be purchased before your travel dates. Airserve staff will assist you for 2 hours after your flight arrival, or until you board your transportation from the airport, whichever comes first. 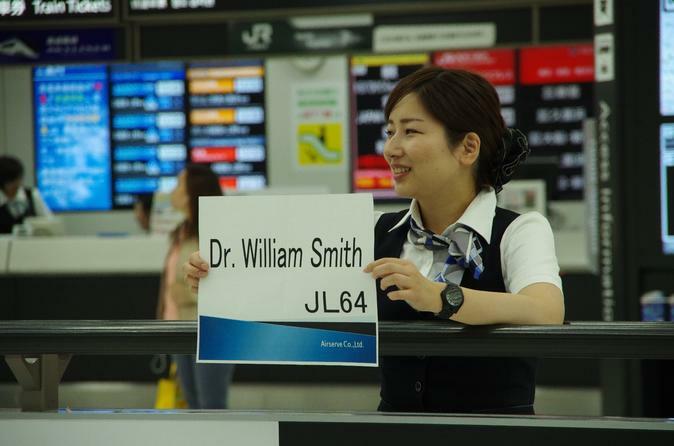 The JR Pass Exchange Office is open from 7:45 AM to 6:30 PM at Haneda. Please ensure you have enough time to clear customs and arrive at the JR Pass Exchange Office during opening hours. It usually takes at least 1 hour to clear customs and luggage retrieval.